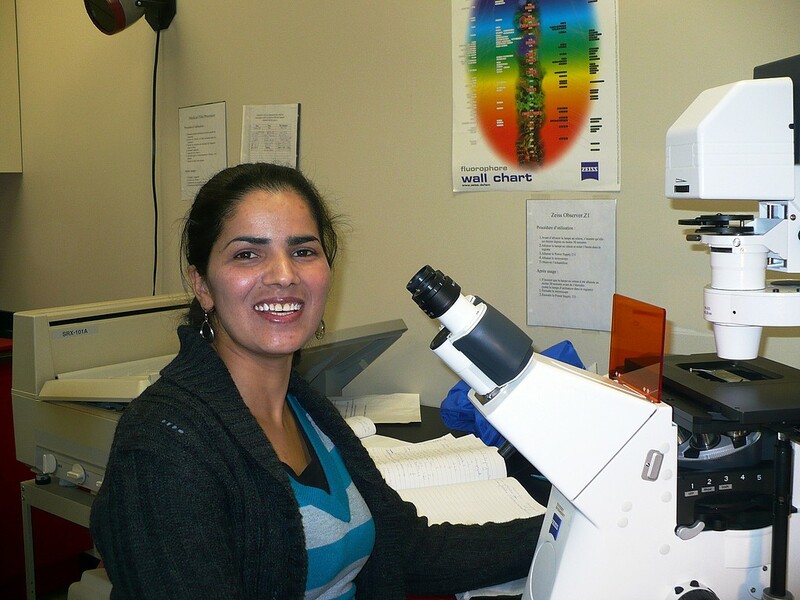 A research grant of 25 000$ was awarded by the Fondation du grand défi Pierre Lavoie to support the work on epidermolysis bullosa simple (EBS) supervosed by the invited researcher Mbarka Bchtenia. This project aim to correct causative mutations of EBS by correcting the DNA. Congratulations! 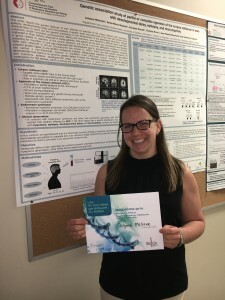 Jolyane Meloche, post-doctoral fellow, won the second prize for the best poster at the 12th edition of the journées génétiques du Réseau de Médecine Génétique Appliqué (RMGA) on april 30 to may 1st. Her poster was about a genetic study on men with complete or partial agenesis of the corpus callosum. Congratulations Jolyane! 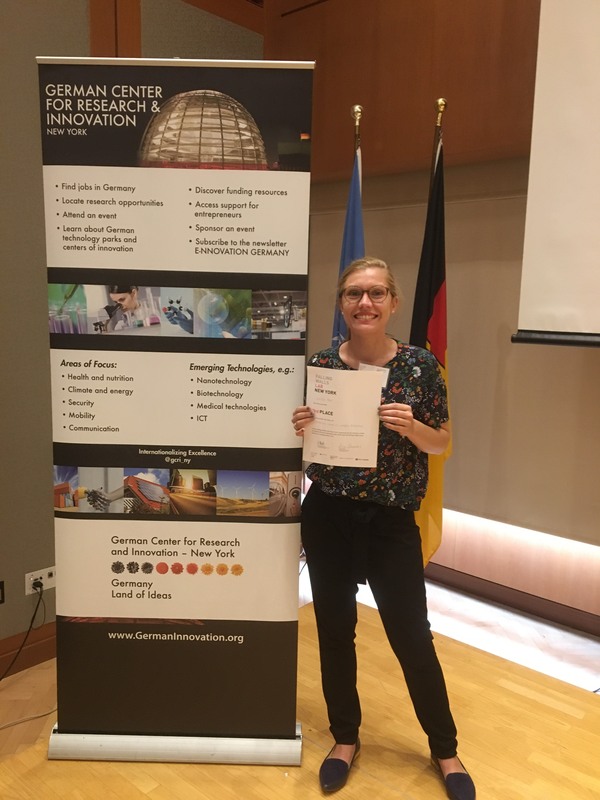 An award for Lucile at the Falling Walls Lab! 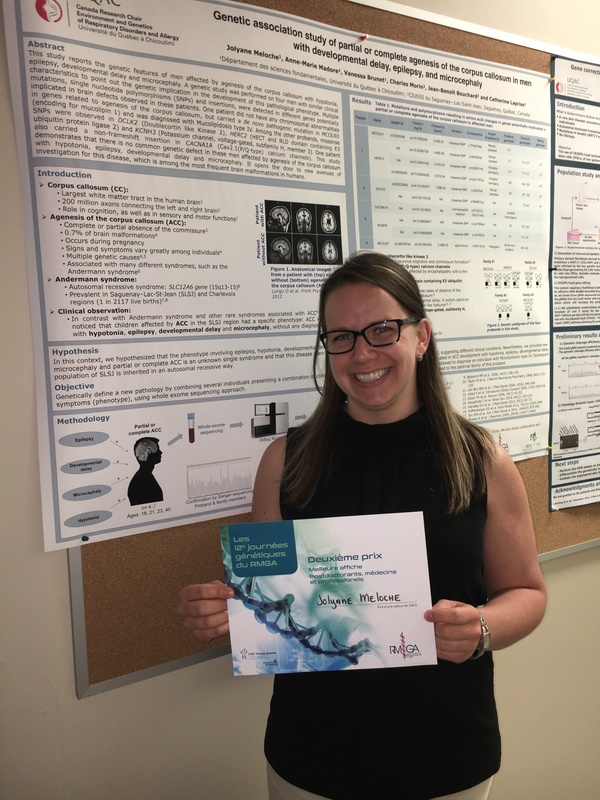 Lucile Pain, doctorate student in biology under the direction of Catherine Laprise, won the third place at the contest “Falling Walls Lab” of New York in september 14. This contest consists of students sharing their innovative ideas to resolve issues in our society. 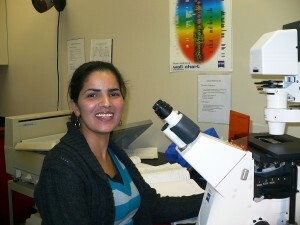 Congratulations Lucile!